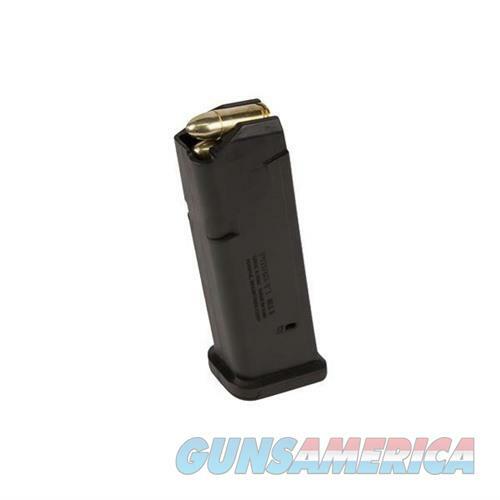 Constructed of a proprietary polymer, these durable magazines fit 9mm Glock handguns, including Gen 4 models. Reinforced feed lips, a stainless steel spring and a high visibility anti-tilt follower ensure reliable feeding. Pushbutton release on the floorplate allows the magazine to be easily disassembled without tools. Floorplate also has a pen dot matrix on the bottom for marking and identifying magazines. The GL9 consistently drops clear and free when released; loaded or empty. 17 GL9 fits flush at the base of the Glock 17 grip, with some minor protrusion on compact and subcompact models. 15 GL9 fits flush on Glock19, with some protrustion on subcompact pistols.